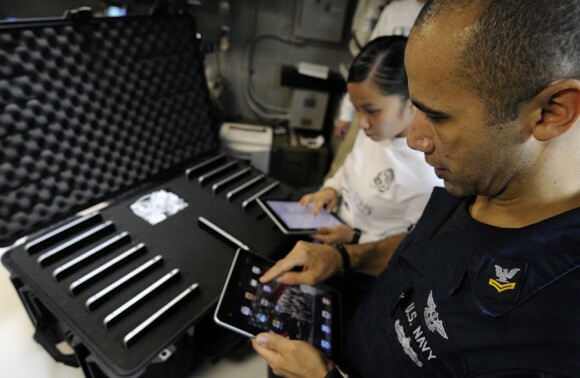 Pilots of Marine close-air support aircrafts in Afghanistan use Apple iPad as Electronic Flight bag. In addition, Navy also uses iPad on missions launched from aircraft carrier. Currently, a handful of 2nd Marine Aircraft Wing (Forward) squadrons use Apple’s iPad in Afghanistan. This includes crewmembers for AH-1W [Super Cobra] and UH-1Y light attack helicopter squadrons, AV-8B Harrier pilots and the crew of the Harvest Hawk equipped KC-130J. 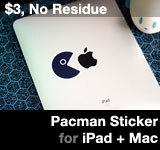 Flexibility, constant update, and ease of use? Seems to be a win win situation. In the photo, Apple iPad is protected during transport with Pelican 1630 Case [$298 on Amazon ]. Earlier this year, FAA approved iPad as electronic flight bag for commercial flights. This entry was posted on Wednesday, June 22nd, 2011 at 10:00 am	and is filed under iPad. You can follow any responses to this entry through the RSS 2.0 feed.